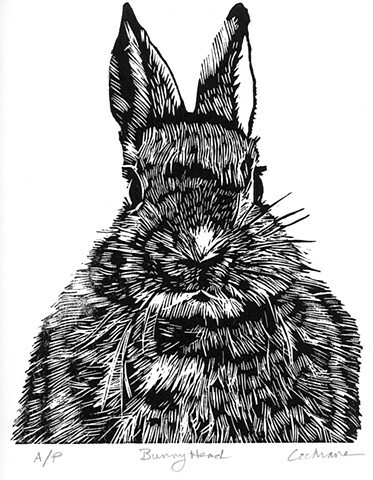 Woodcut print of a bunny (rabbit) head on white, acid-free, 120 lb. Stonehenge paper using a coffee-color, oil-base Charbonnel printing ink. Artist's Proof, titled and signed "Cochrane" in pencil under the image.